I put a lot of thought, careful planning and wood selection into the building of this single-cutaway beauty. With this in mind, I selected an extra-ordinarily figured piece of Blood Wood for the construction of the 2-piece top, to contrast as well as compliment its one-piece Brazilian mahagony body. A one-inch wide strip of pao ferro running down the middle of its 2-piece, highly figured blood wood back, provides a striking contrast. The Indian rosewood neck, with blood wood fingerboard and white pearl dot inlays, puts this guitar in a class all by itself. 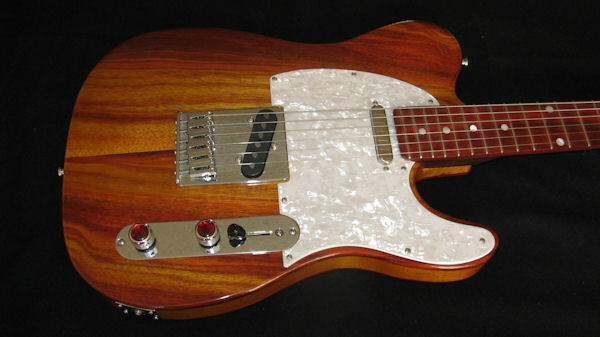 The white pearloid pick guard and chrome control knobs, with red abalone caps further enhance the beauty of this extra-ordinary instrument. The deep vintage amber stain over its body, finished with ColorTone High-Gloss Professional Guitar Lacquer, gives the impression of an unusual kind of sunburst. Buy it and become the proud owner of a one-of-a-kind Custom guitar! 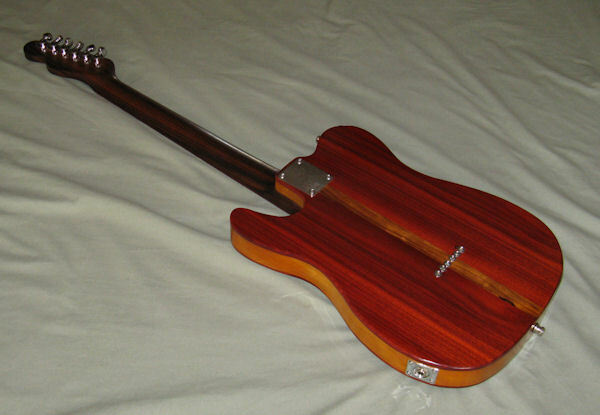 Brazilian light weight mahagony body, with beautifully figured blood wood top and back. 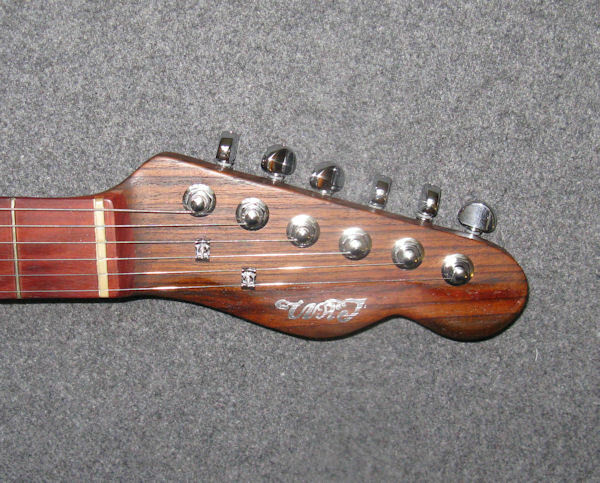 Satin-finished Indian rosewood neck, with blood wood fingerboard and white pearloid dot inlays. 2 single-coil pickups, with 2-conductor shielded wire, that can deliver clean, vintage tone combination for country, rock or blues. White pearloid pick guard and chrome control knobs with red abalone caps. 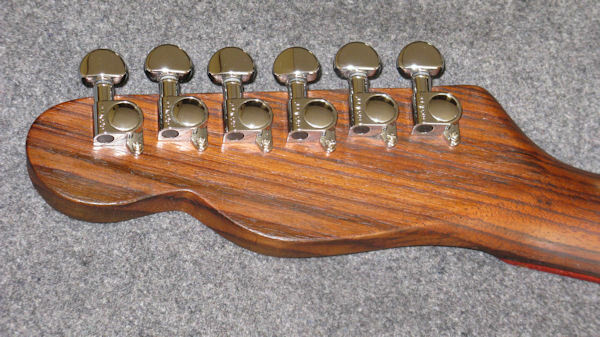 Mini Grover guitar tuning machine heads, with 14:1 gear ratio.